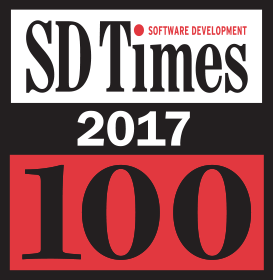 We are very proud to be among the top 9 companies selected for the SD Times 100 user experience category. According to David Rubinstein, editor-in-chief of SD Times, "When choosing the SD Times 100, we carefully considered each company's offerings and reputation. We also listened for the "buzz" - how much attention and conversation we've heard around the company and its products and technologies - as a sign of leadership within the industry." As developers, we understand the requirements of our users very well. We use everyday innovation to uncover our user's real reporting requirements. Digital transformation changed every process in today's business world. The number of e-commerce transactions skyrocket and supply chains are fully connected. In nearly any business process, documents and reports need to be designed, created, shared and archived. Our technologies help companies to integrate document processing to client, web and cloud solutions to gain the largest competitive advantage. We have been developing software components for reporting and document processing for more than 25 years. We are continually looking for new and innovative ways to improve document processing to make these processes easier for end-users and more efficient. We appreciate being recognized a leader in the SD Times 100 and we feel highly motivated to accept the challenge to provide the same innovation over the next years and decades.